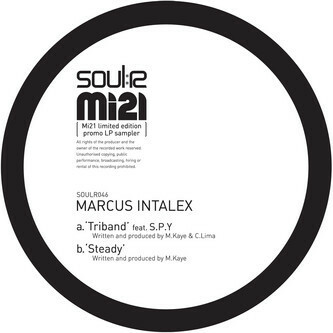 A pair of slick steppers from Manchester's Marcus Intalex. He colludes with S.P.Y on the modern raver 'Triband', driven by wide basslines and adrenalising synth stabs with a Neurofunked finish. 'For us 'Steady' is far stronger, coming with submerged dub chord detonations craftily placed in the mix under sleek hardstep drums and atmospheric pads of cinematic proportions. Fans of Instra:mental, dBridge, or Consequence should check this at the least!